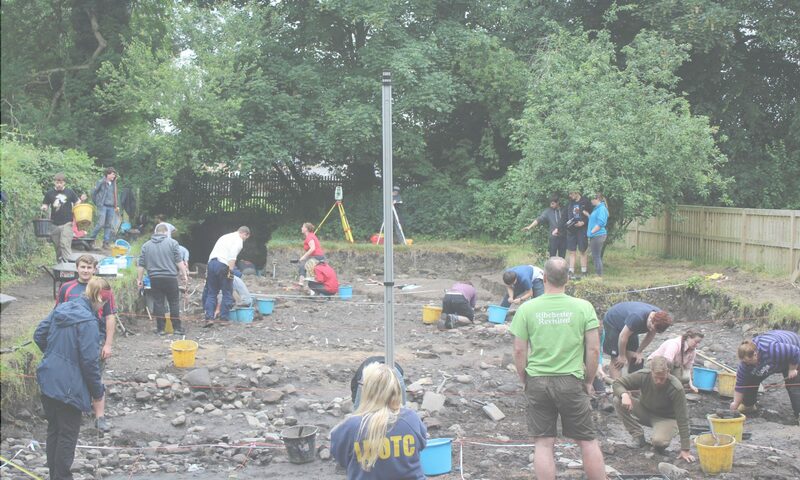 The unseasonably warm heat at Ribchester continues well into the second week of digging. As layers and contexts are planned, documented and excavated the finds and environmental teams are hard at work. The environmental team is led by Don. Environmental archaeology involves looking at evidence of ancient plants by using water filtration. Water filtration traps the plant remains, such as seeds and cereal, which are then dried and examined. 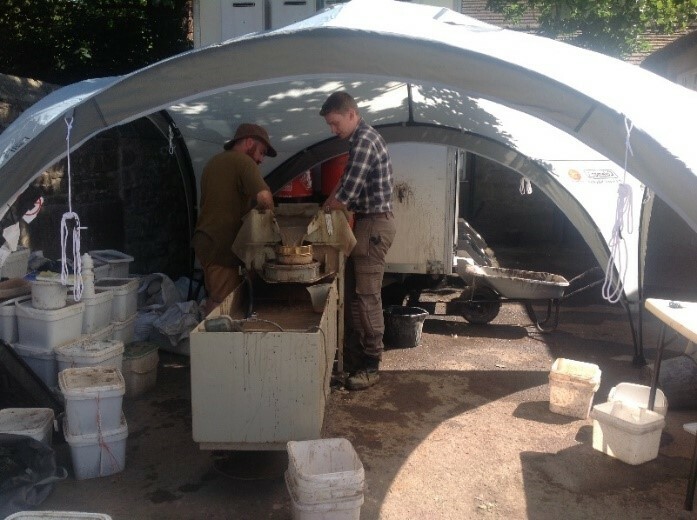 Sand, silt and clay are filtered out, artefacts are also recovered in this process, frequently retrieving beads, pottery and nails in accordance to Historic England guidelines. 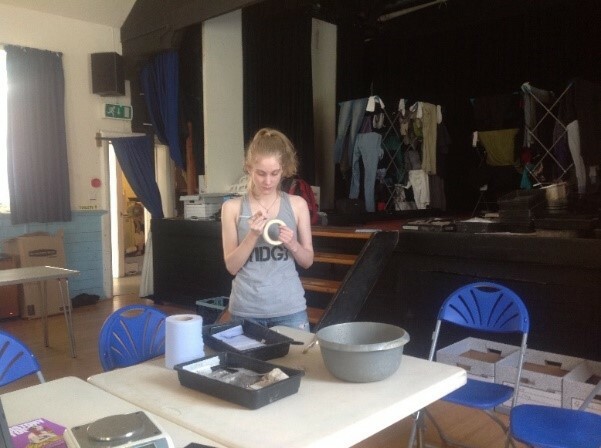 Finds, led by Viki, involves the cleaning and packing of all finds excavated from the site. Everything is entered into a database for our records. Processing the small finds, such as stamped pottery and hobnails; these finds are also photographed for the database. The running total of hobnails has now reached over 70 in one area which contains the outline of a shoe. It’s time for some demolition at the site. Teams are planning and documenting in order to progress to removing layers relating to the defensive ditch, rampart and clay floors. 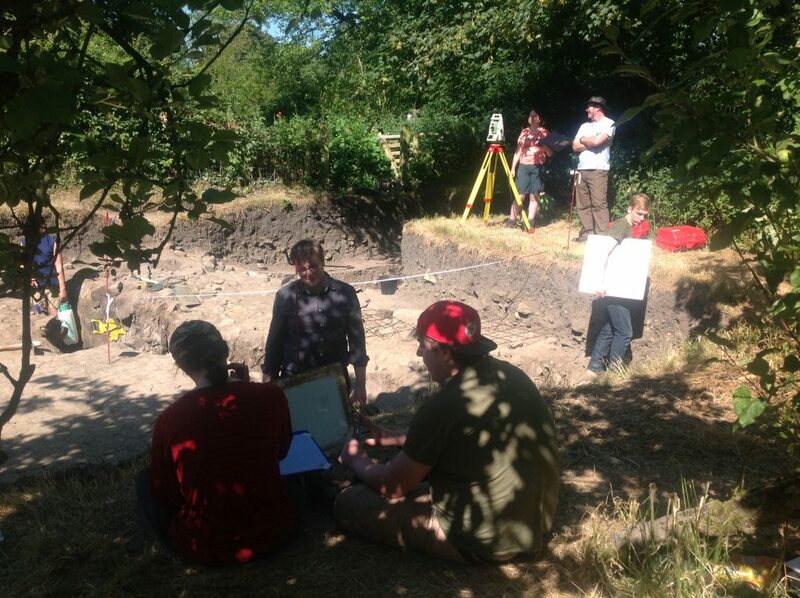 Teams in the North of the trench, in the eastern section, are in the process of recording and planning in order to start digging with mattocks to uncover more of the history of the rampart and its relationship with the exterior wall and the first timber fort known to the site. New questions are being raised about the site itself as interesting features, structures and pits are being revealed. A new trench from the Thomas May excavation in 1907 has been uncovered and the team is trying to deduce the extent of it. The extent of demolition from the Roman occupation is a prominent question this week and its relationship with ‘rubbish’ pits. The whole team is working hard and smart, regularly applying sun cream and taking water breaks. Previous PostPrevious Ribchester Revisited mid-week 2, feeling hot!